At first it was just a session of Bad Weather Baking, I’ve done it before, and it’s designed to take my mind off the sound of torrential rain and the damage it does to the garden. 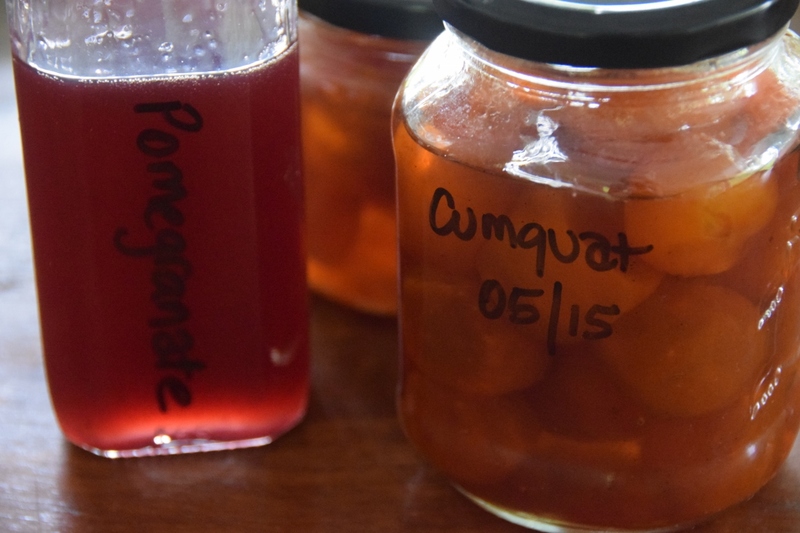 This time, I made a couple of jars of candied cumquats and an experimental jar of pomegranate syrup. As I “baked” the storm raged and the rain pelted down, but I hardly noticed, so engrossed I was in the process. 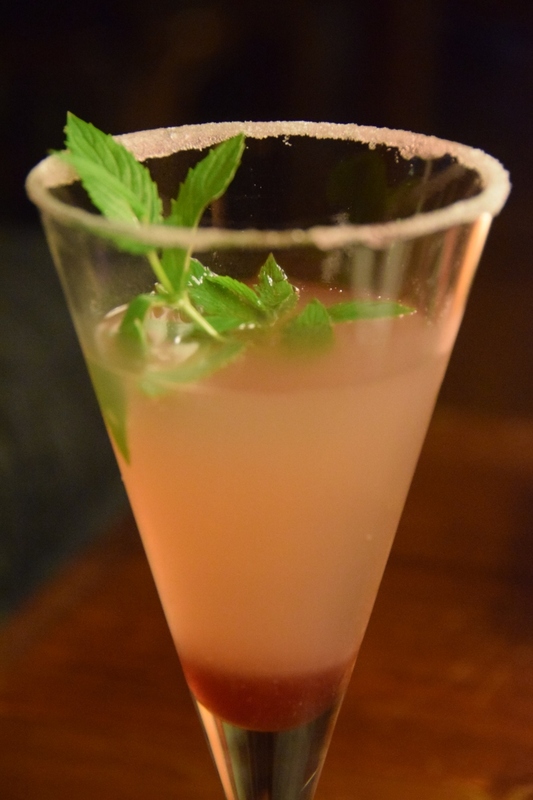 The idea of the Pomegranate Syrup was to use it later in some sort of dessert, but later in the evening when I realised that the rain hadn’t stopped, and that a flood was imminent, I turned to my second favourite thing to do in a storm – make exotic cocktails ! The rain continued unabated, sometime during the night our bridge went under, cutting the town in half, and spectacular waterfalls closed the Dorrigo Mountain Road.